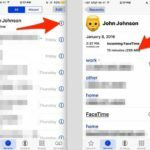 Currently, we see a lot of user complaints that FaceTime is not working for some users. Our readers tells us that this program is suddenly not functioning properly. 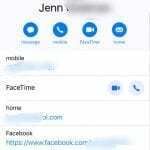 Users report connection problems and call failing problems leaving them unable to make video calls. Before you begin to make any changes, always check Apple’s system site to ensure that the problem is not on Apple’s end. 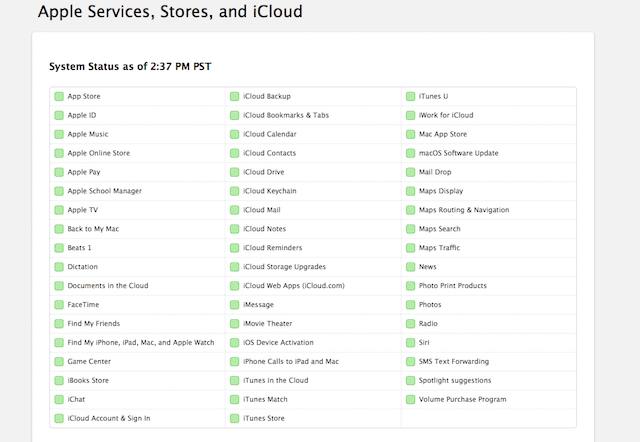 Take a look at Apple Services, Stores, and iCloud via Apple’s system status page to see if FaceTime down. 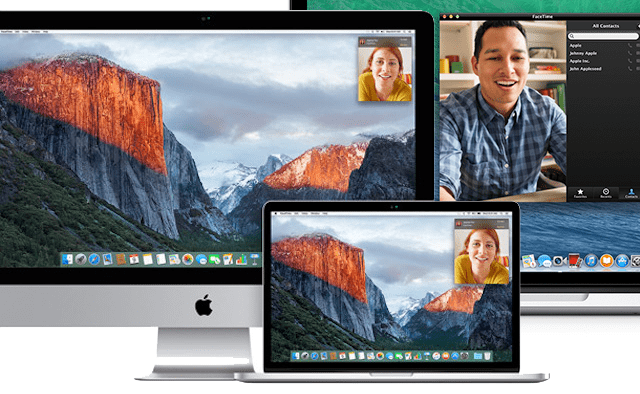 This site shows you a comprehensive view of Apple’s online assets including the Apple ID, iCloud, FaceTime, iMessage, App Store, Apple’s Online Store, and most of Apple online services. On this site, you check whether various Apple services are running as normal (indicated in green) or if there are services currently out (indicated in red.) There’s also listings for iOS Device Activation services on the page. 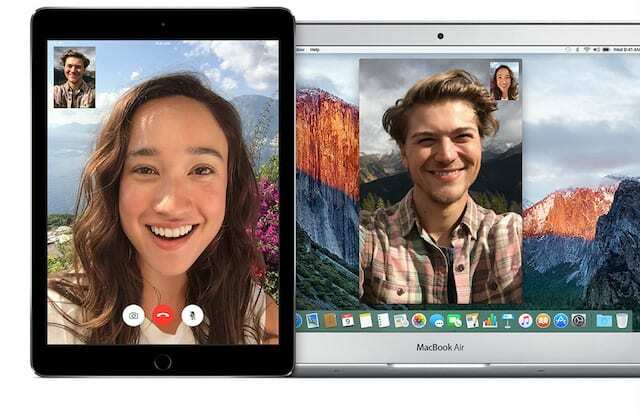 So if you are a new iPhone, iPad, or other iDevice owner and experience trouble activating your iDevice, all you need to do is check this site to see if there’s a problem with Apple’s servers or if your particular device is having issues activating. 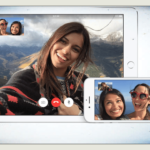 If Apple’s Status site lists FaceTime as down, there’s nothing to do but wait until Apple repairs the problem. Unfortunately, outages do occur, especially with iCloud, iMessage, FaceTime, leading to downtimes lasting from a few minutes to a few hours (or more.) So it’s always best to check that site before proceeding to any troubleshooting. I’m having troubles with my FaceTime. I’m able to FaceTime everyone else but one specific number, it’s been like this for 2 days now and I’ve checked and done everything like resetting my phone , checking my settings , reput the contact number and put the iCloud email. It’s the same on both of our phones. Hi and sorry about your FaceTime troubles! 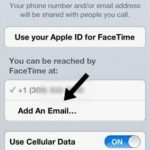 Please take a look at our newest article on FaceTime issues for iOS 10–these tips also work for older iOS versions. Face Time not working since Easter, phoned Apple and was on hold for 30min. So I see where people all over are having trouble with FT – I am as well – on my iPhone and iPad but not my laptop????? WTF apple! If this is some ploy to get me to download iso7…. I’ve been an apple head for several years but I just might have to rethink my allegiance. I pay inflated prices for apple products so that I don’s have to put up with this whooey! Steve Jobs would not approve – in a conspiracy or a laps in product quality. Face time has been down since last Thursday…please fix!!!!!! This is ridiculous! Can’t FaceTime with my grand baby on Easter! So frustrating!! FaceTime not working on any Apple device I have. So annoying! None of our phones work! Facetime not working with me. Hurry up Apple! 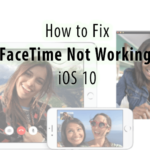 All Apple gadgets owned by me and my friends have been running in ios7 for some time but Facetime just stopped working last week for all of us (in the UK ).Tried all the ‘fixes’ but still not working. Come on Apple ,admit you’ve got a problem and get it fixed. Is this a push on Apples part for everyone to upgrade to IOS 7.01? If so, not nice…MANY that have upgraded don’t like it! 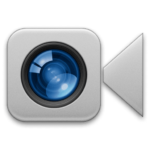 Seriously what is the issue that Apple can’t fix concering this Face Time issue? FaceTime not working for me or my mom! Tried the troubleshooting tips and still not working. Seems if there are a lot of people having the same issue, apple’s system status is incorrect. FaceTime failed comes up every time I try to connect. Similar notices from my contacts.